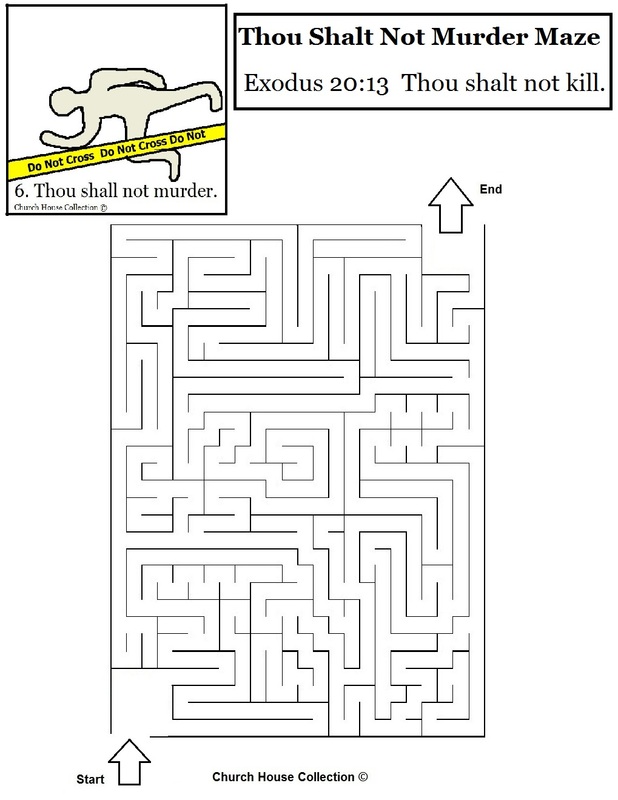 Print this Thou Shalt Not Murder Maze off for the kids to do in class. This is for the 6th commandment of the Ten Commandments. 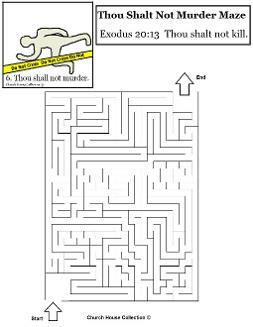 Use this maze to go along with our matching lesson plan we offer, "Thou Shalt Not Murder Sunday School Lesson". We have each commandment broken down into 10 seperate lesson plans. They come with matching materials.